Here we have a special project that's been in hiding for a while. This is one of the few FWD projects that you'll see coming out of RaceFriv, and we have big plans for this tiny car. Click past the break for a full intro into Project Tinymobile! This is somewhat related to Phil's post about You Never Forget Your First car. 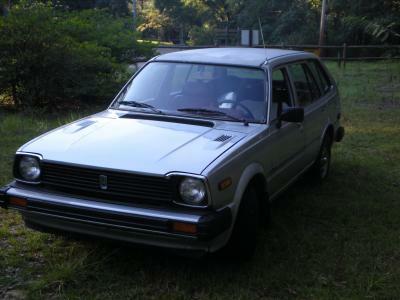 Likewise, my first car was a silver 1980 Civic Wagon that I picked up for $500 when I was 16. It was slow, but it was awesome. You know the old saying, "Driving a slow car fast is more fun than driving a fast car slow"? Yeah, these old Hondas are the manifestation of that saying. 63hp and 77lb-ft of torque won't do much, but 55mpg highway will! In 1980. With no fuel injection. Yeah, we remember when Honda used to be badass. Back to Tinymobile. Our subject is a 1979 Civic 1200. 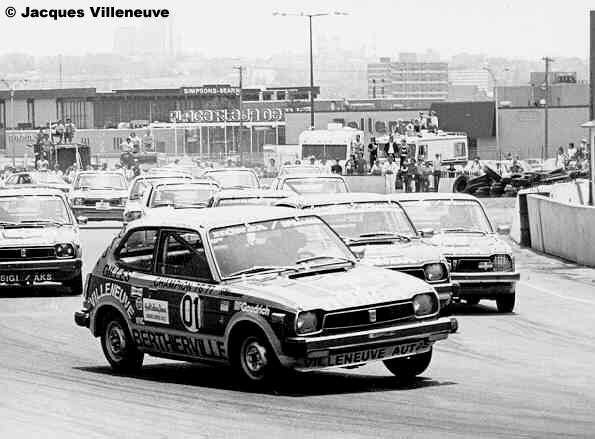 Most people remember the first-gen Civic by the more famous model, the CVCC, but there was also the 1200. The CVCC was the KING of fuel economy back then, regularly getting 40+mpg in the city, without the need to use a catalytic converter OR unleaded fuel to meet emissions standards in California. It was also heavier and 2" longer in the front than the 1200. My car was found in Kennesaw, GA and purchased for $600. It was running very rich, and a little bit of tuning on the Weber carburetor got it idling and running great! It turns out that it had some very old-school performance bolt-on parts: a Weber downdraft carb, an OLD Jackson Racing 4-1 header, and adjustable cam gear. It also has the sought-after "deluxe" gauges, which includes a tachometer! I added a Pertronix ignitor kit for a Datsun 510 to the distributor in order to remove the old points system for maintenance-free spark! Then, I daily drove it for MONTHS. The only issue I ever had was that it didn't want to heat up in the winter; the heater core would cool the engine all by itself with a blocked radiator! The interior is in quite rough shape that is associated with a Japanese car from the '70's: Cracked dash, tattered seats underneath ricey seat covers, faded plastic, and dirt from years of enjoyment! The hatch is pretty small, but does the job. I can fit a 78" counter top from IKEA in and still close the hatch. Lets see you do THAT with your new Honda! Anyways, we'll be bringing you some updates to Project Tinymobile within the next few months, but progress will be slow while I'm living overseas. The 1st-Gen Civic community is also working closely with a couple of well-known aftermarket companies to get some quality parts out there! No mention of the head swap, header(tee hee hee) repair,transaxle surgery / swap, major hardware drill-out on the right front suspension...........Needless to say, it became quite familiar with my lift!!!! Give me Tinymobile wheel and brake mods!